KUALA LUMPUR (CelebrityAccess) — Life in Color, producer of an international series of paint parties, has announced that they are canceling a planned event in Kuala Lumpur in the wake of the Malaysian air disaster. Artists on the bill included: Dutch House DJ Fedde Le Grand, and Dutch DJ Firebeatz, Malaysian artists Goldfish & Blink, and BATE and Singaporean artist DJ Formative. 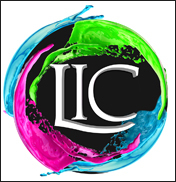 Life in Color wishes to announce that due to the unfortunate events that took place this past weekend, we have decided to cancel the upcoming Life in Color Malaysia event on April 19th, 2014. With respect for the country and people of Malaysia, we are canceling the show. Life in Color, Future Sound Asia and Zouk KL would like to extend our sincerest apologies to our wonderful fans. All ticket holders will receive a full refund for the event and more details regarding the refund process will be made available in the next few days. We appreciate the love and support of our Malaysian fans, and our thoughts and prayers go out to the families of those affected.